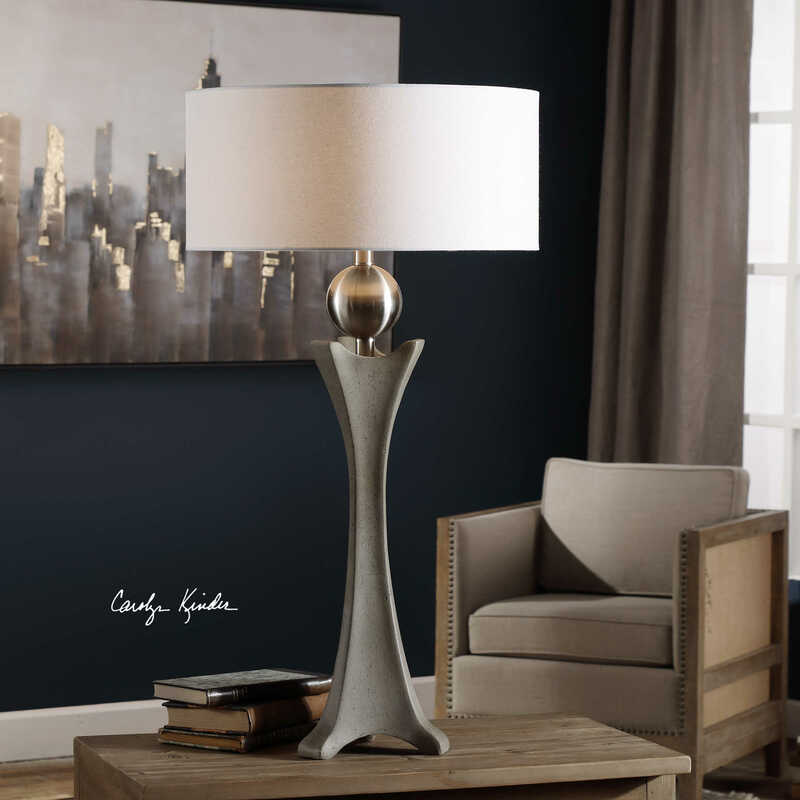 The Haver Concrete Shaped Lamp gives a nod to the mid-century modern style with its uniquely shaped concrete column, holding a brushed nickel-plated sphere. The round hardback drum shade is a light beige linen fabric. Designed by Carolyn Kinder International. Available to trade professionals at Uttermost.com. For retail purchase Google search term “Carolyn Kinder Haver Concrete Shaped Lamp”.